Saturday night’s accomplishment was fifty-three years in the making, but it really was a culmination of a body of work that began for the Jupiter Warriors ever since that first pioneer squad led them to the state tournament back in the 2013 season. Since that time, the program continued to evolve and increase the level of competition and the amount of expectations. A year ago the Warriors returned to states and fell in the semifinals, but every bit of the hard work since proved worth it. With a fire and drive befitting a champion, Jupiter made an improbable run through Saturday’s Class 9A state Final Four to close the night as the champions of the largest classification in the state. The Warriors erupted for eight runs in the sixth inning to come back and stun the Columbus Explorers in the semifinal game played Saturday morning, then carried that momentum straight through the title game to earn a 6-3 win over Timber Creek that earned them the champion’s trophy. Jupiter manager Andy Mook joked that he is pretty certain his guys did not score eight total runs in the playoffs prior to Saturday’s semifinal outburst. It has been a wild ride that took the team this far, where they earned the right to beat the same team that defeated them and ended their season a year ago. Perhaps no team knows as well as the Wolves what a tough road it is to win it all. After fighting through to prevail out of a very tough 9A region in Orlando, Timber Creek finally broke through and won it all a season ago. All this year the Wolves had to carry that target on their backs, as every club that faced them gave them their best in an effort to beat the defending champs. Both sides played to a stalemate through the first two frames. Wolves starter Preston Schumacher and Jupiter starter Mitchell Hartigan both locked in appeared heading into a long pitcher’s duel. After the way the Warriors (19-11) swung the bats in the semifinal, it did not take long for them to heat up again. Catcher Logan Etherton set it off with a single to left, before giving way to courtesy-runner Blake Bohlman. Bohlman stole second and Robby Stone walked for another base runner, and Ricky Clark reached with an infield single that loaded the bases. Mitchell then backed his own cause when he laced a liner to third that skipped into the outfield to drive in a pair. Peter Cowley then had an RBI ground out that gave Jupiter a 3-0 advantage. 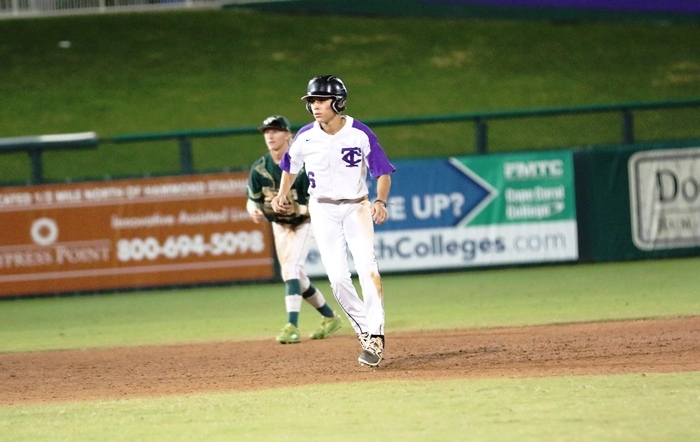 Timber Creek did not let them savor that feeling too long, getting on the board in the bottom of the fourth. Marcos Roque lined a single into the shallow right-center field gap, Parker Smith was hit by a pitch and Parker Wood then lined an RBI double into left field. Jupiter answered back with the deciding runs in the fifth. Dakota Gaillard was hit by a pitch, advanced thanks to a sacrifice bunt from Stone, moved to third on a wild pitch and scored on a passed ball on a third strike that also allowed Clark to reach safely at first. Mitchell followed with a walk and was replaced by courtesy-runner Duane Hoff. Peter Cowley then stroked a double to right field that plated two runners to open things up. Those runs deemed crucial, as the Wolves (22-8) made another scoring push to respond in the bottom of the fifth. Gabriel Cruz smacked a double to center, Bret Neilan walked and Roque sent a liner deep into the left field corner for a double that drove in both base runners. With the defending champs making that final push, the Warriors were forced to respond. The pitching and defense tightened up, with defenders eagerly charging at balls hit their way ready to make the plays. 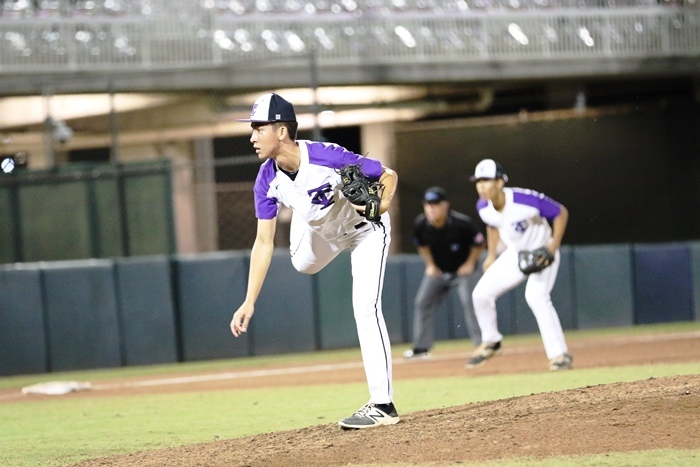 Junior reliever Chuck Fishbaugh took over to close out the final two frames, recording a pair of strikeouts while retiring the final six Wolves in order.